George practises in a number of areas, and accepts instructions by both Claimants and Defendants to attend interlocutory or final hearings. He is available to draft pleadings, advise on liability, quantum or any other material issue, as well as to hold conferences either in person or by telephone. He is happy to accept instructions at short notice, and can accommodate those instances when paperwork must be returned urgently. He is also happy to discuss any aspect of a case with solicitors on an informal basis. George accepts instructions in both low-value and high-value personal injury cases. On the multi-track, he is well accustomed to drafting detailed schedules of past and future expense and loss, advising on quantum in relation to serious or unusual injuries and appearing in CCMCs and pre-trial reviews. In lower value claims, George is familiar with the issues that arise in the fixed recoverable costs regime and the MOJ Portal process. George has particular experience acting for both parties in personal injury claims where fraud or fundamental dishonesty has been alleged. George accepts instructions from both landlords and tenants on either a private or publically funded basis. 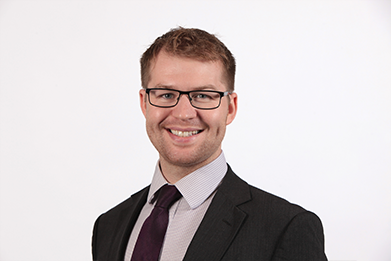 He has experience in relation to both residential tenancies and commercial leases. He has prosecuted and defended claims against landlords for disrepair and tenants for dilapidations, and has experience acting in claims for possession concerning secure, protected, assured and assured shorthold tenancies, in particular those brought on the grounds of rent arrears or anti-social behaviour. George also appears in preliminary and final hearings in applications for anti-social behaviour injunctions, as well as applications for committal following breach of an ASBI. George has previously been instructed on behalf of those bringing actions against the police on a number of different bases. He is available to assist at any stage of the litigation, from screening potential new cases through to appearing in trials by jury. In addition to the above, George also has experience in a wide variety of other areas, including professional negligence, employment and contractual disputes. George is qualified to accept instructions on a direct access basis.